Bankruptcy Discharge – How Long Will I Be Bankrupt? Home Bankruptcy BlogBankruptcy Q&A Can I Keep My House if I Have Large Debt in a Bankruptcy or Proposal in Canada and get Separated? Can I Keep My House if I Have Large Debt in a Bankruptcy or Proposal in Canada and get Separated? Question: I will try to keep my question as short and concise as possible. Together my ex and I have $50,000. in credit card debt that has to be dealt with asap. Spousal support is currently before the courts at this moment. I am waiting for a call to a job that will be 6 days a week. I am thinking about offering through my lawyer (in an effort to keep my house, which is currently in both of our names)to take on all of the credit card debt in exchange my ex signs off on his share of the house. Would I be eligilbe to file for a consumer proposal for this amount? I will be working 6 days a week and I will be getting a spousal support amount of $400/week so the income on my behalf will be available. Is this at all do-able? I really do not want to lose my house!!!! Please advise, Laurie. You are separating from your ex, not from your bank. So even though you agree to take on the credit card debt, the credit card companies may not necessarily agree to remove your ex as a co-signer on those debts. They will only take his name off if your income and credit rating is sufficient for you to qualify on your own. Similarly, they may not agree to take his name off as a co-signer on the house mortgage, for the same reasons. So, your plan makes sense, but the bank may not agree. The second problem is this: if the bank and credit card companies and your ex agree to take his name off all of the debt, the banks and credit card companies might be quite upset if you then immediately file a consumer proposal. Today they have both of your names on the debts. Tomorrow only your name is on them. The next day you file a consumer proposal, and the bank is upset that yesterday you agreed to be solely responsible for the debts, and today you are filing a proposal because you can’t pay in full. That may make it difficult to get them to agree to the proposal. The final factor will be the amount of equity in the house. If the house has $100,000 in equity, the credit card companies won’t agree to a consumer proposal of $20,000, since that’s less than they would get if you sold the house. A better option may be for both you and your ex spouse to file a consumer proposal, either separately or together, to deal with the credit card debts, and then negotiate with your ex as to what will happen with the house. Again, your situation is very complicated and there are many alternatives, so you should arrange a no charge initial consultation with a licensed Canada bankruptcy trustee to review your options. 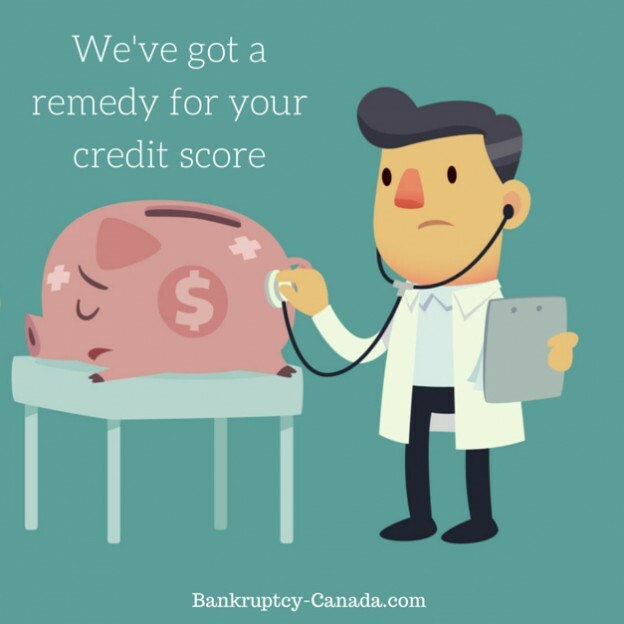 Bankruptcy Canada is a free service provided by bankruptcy trustees in Canada to explain how bankruptcy works, how you can avoid bankruptcy, and helps you decide whether bankruptcy is the right option for you and your family. Your House Or Your Debt, Or Both? Consumer Proposal or Debt Settlement: What’s The Difference? Is There A Debt Minimum For A Consumer Proposal? I have at least $17000.00 in credit card debt and am on a Canada Disability Pension, Canada Pension said I could work and make $1200.00 extra per month up until June of each year as I drive a School bus. I am having a hard time with the months from July to September.. I had a proposal years ago and am cleared of that. I feel embarrassed about that. Besides all my other bills and Cards if i make some sort of payment to the cards in good faith will that help my Credit? Payments always help – the question is, if you are going to have periods when you cannot make your payments (July – Sep every year) then will the payments make enough difference to stop the non-payments damage. Unfortunately, probably not. When you miss a payment is it usually added to the next month so I assume by Oct you are 3 months behind. Unless you can clear up all three months in October you will still be shown as missing a payment and your credit will still take a hit. Me and my wife have separation agreement . Can a trustee go after her or her assets that she received from the separation? Things were divided fairly equally And her name is not on any of my debts . Hi Dennis. As a general rule, a trustee for one spouse cannot go after the assets of an ex-spouse that are covered by a separation agreement. However, the specific answer will depend on when the separation agreement was made, and whether or not it is legally binding. You can consult your trustee, and your ex-wife could have a lawyer review her situation to confirm that she is not at risk. Bankruptcy is not the only option. Our local Licensed Insolvency Trustees can help you explore all your options and become debt free. Get started today. 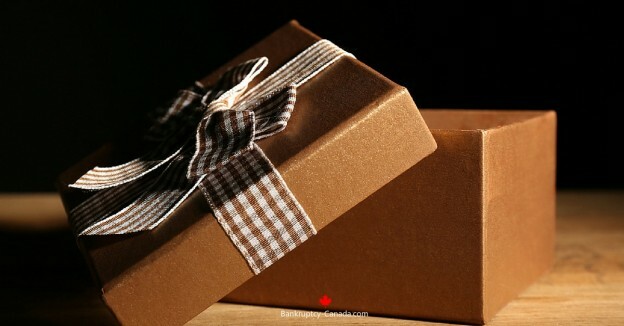 Gifts During Bankruptcy. How Are They Treated? How Can I Go Bankrupt If I Have No Money? A convenient listing of every bankruptcy blog article on the site, sorted by category and by date. What Does It Mean To File For Bankruptcy? How Long Does Bankruptcy Affect Me? Can I Keep my House and Mortgage in Bankruptcy? Consumer Proposal Canada: How does it work? As bankruptcy trustees, licensed by the federal government, we can help you find relief. We are trained debt professionals who must follow strict ethics and a code of conduct. 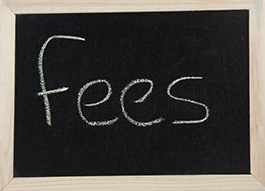 We do not charge you any fees until you receive protection from your creditors. © 2019 Bankruptcy Canada. All Rights Reserved.